Marine Survey New Zealand, qualified and trusted marine surveys. PROFESSIONAL PEOPLE, PROFESSIONAL SERVICE ..
​Dean Kennedy (DipMarSur) is our principle Marine Surveyor covering New Zealand and the South Pacific. Dean grew up on the beautiful Coromandel Peninsula and from an early age was actively involved with the Thames Sailing club, learning to sail in dinghies progressing to keelers. Upon leaving high school Dean studied full time towards a trade in boat building. At the same time he graduated from the prestigious Royal New Zealand Yacht Squadrons youth training scheme. Having completed his boat building apprenticeship in 1999, he followed his true passion of yachting to Europe, where he married his skills as a boat builder and a competitive sailor to join the super yacht industry ..
As a crew member of super yachts Dean has travelled the world gaining valuable skills and qualifications including his Royal Yachting Association Yachtmasters Offshore ticket. Having completed over 90,000 nautical miles at sea Dean has gained has vast project management experience. Dean has been involved with numerous re-fits and has made important global contacts in the marine and yachting industry. As a professional sailor Dean competed all over the world. Dean was a crew member winning scores of major regattas, including a world championship in the maxi class in 2005 and two world 24 hour speed record attempts. Upon returning to New Zealand in 2006, he gained his commercial skippers ticket and worked as a skipper on the Hauraki Gulf. 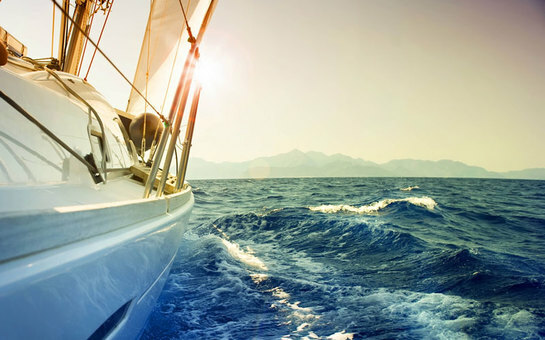 More recently Dean has enjoyed working as a yacht broker. Dean brings youth along with extensive knowlege to the marine survey profession. His timber boat building career involved both traditional and modern techniques. Fibreglass and carbon fibre construction methods are also a core skill Dean is familiar with. Dean's professional yachting background and boat building exprience ensure that he is up to date with the very latest in design and construction methods. This includes hull, rig and sail materials. Working behind the scenes Kirsten Williamson (MSocSci PGDipRep) takes care of the day to day management of the business. Coming from resource management as a Policy Planner, Kirsten has a range of valuable skills that ensure our business is in the best hands.